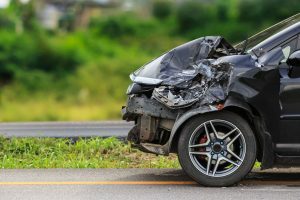 If you were hurt in a motor-vehicle collision, the driver who caused the crash may be liable for your medical bills, lost wages, and other damages. But what if the at-fault motorist fled the scene before you could get his or her information? Sadly, hit-and-run accidents are a growing problem around the country. In 2016, 2,049 people died in these collisions, which represented a 62-percent increase from five years prior. Fortunately, people who are injured or lose family members in these accidents may still be able to recover compensation for their damages. To find out the most strategic way to proceed with your case, contact Charnas Law Firm. Scott Charnas has more than 30 years of experience personal injury law. Call 212-980-6800 to schedule a free case evaluation with a car accident attorney in New York City. You may feel inclined to chase after the driver, but doing so could land you in hot water with the law. You could face charges for fleeing the scene, speeding, or reckless driving, and if you cause a subsequent collision, you would be held liable even if you were pursuing the motorist who caused your wreck. The sooner you call the police, the better their chance of finding the offender. Even if the at-fault driver escapes, your insurance company will want a police report to confirm the details of your crash. While waiting for the police to arrive, write down everything you remember about the collision and the vehicle that st ruck you. Record its make, model, color, license plate state and tag, direction of travel, and any distinguishing features like bumper stickers or bike racks.You should also make a note of where the other vehicle likely sustained the most damage in the impact. This will allow local mechanics to alert police if they think the liable party has turned to them for repairs. Even if you cannot remember key details about the fleeing vehicle, there’s a chance other people saw the incident. Look for eyewitnesses, which might include other motorists, passengers, pedestrians, cyclists, and nearby shopkeepers, and write down or record a video of everything they say. Ask for their names and contact information so your car accident attorney can follow up. After leaving the scene, your priority should be your health. Visit a doctor as soon as possible to undergo a medical evaluation. 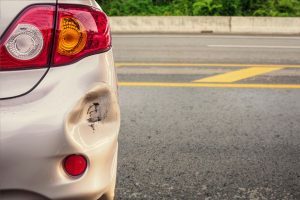 This is a crucial step for proving damages, tying your injuries to the collision, and demonstrating to the insurance company that you are taking your recovery seriously. If you were hurt in a hit-and-run collision, turn to Charnas Law Firm to discuss your options for recovering compensation. Scott will do everything in his power to help you find the liable party. Even if the at-fault driver is never identified, you may have other options for obtaining the funds you need to pay for medical care, lost income, and other damages. Call 212-421-0300 or fill out the Contact Form to schedule a free consultation with a personal injury attorney in New York City.